Real estate commissions in Boise Idaho are typically paid for by home sellers not home buyers. When you go to sell your house in Boise you pay your real estate agent a commission. If you look at your closing statement after you sell your house you will notice you are also paying a commission to the buyers real estate agent. In the 1990s the average Idaho home seller would pay a real estate commission of approximately 6.1 percent, half to the buyers agent and half to the sellers agent. As the real estate market shifted to a sellers dream the average real estate commission decreased to 5.4 percent in 2001. Summer 2005 brought about the peak of the sellers market in Boise Idaho. Home sellers could post a For Sale By Owner sign in their front yard and expect a full price offer in just a few days. When people can sell their house in just a few days by posting a sign in the front yard real estate agents are viewed as an over paid service. In 2005 the average real estate commission was just over 5 percent. Now the real estate market has shifted back to a buyers market. Real estate agents in Idaho are back in the drivers seat and once again raising commissions. In 2006 the estimated real estate commission was 5.18 percent, up 0.16 percent from the previous year. With the real estate market sliding even further to the buyers side, real estate commissions are expected to increase even more over the next couple of years. There are many people who are in financial strain in Boise Idaho, mostly caused by their home mortgage payment. Either they purchase their home at the top of the market and now owe more for their house than what they purchased it for, or they have some personal situation which makes it hard for them to make their mortgage payment. If your Boise Idaho home is causing you financial strain and you can not afford to pay large real estate commission, you have options. There are a couple ways to sell your house and not pay a real estate agent. You can sell your house FSBO, which will still cost you a few thousand dollars up front, or you can sell your house to a local home buyer. Local home buyers existing in every real estate market including Boise idaho. They will give you a free offer on your home and explain your home selling options. Even if you do not have enough equity to pay real estate agent commissions, your local home buyer can help. They can possibly lease option your home or take over your mortgage payments. 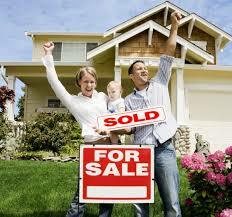 If you are in a financial strain because of your home and you would like to sell your house fast. Contact your local home buyer and see what they can do for you. Foreclosures Rise 30 percent – How Does Boise Idaho Rank? The state with the highest foreclosure rate is Nevada with one in every sixty one homes falling into foreclosures. The foreclosure crisis in Nevada is also due in part from over building of homes by home builders and speculator real estate investing. Never the less Las Vegas which is located in Nevada has one of the best work forces in the nation. The state population also continues to grow rapidly which will help the local real estate market in the future. As you can see there are many reasons why you should consider selling your home to a local home buyer, and these are not all of them. Simply put, listing your home with a realtor or trying to sell your home FSBO cost you money and time, it also does not get you offers within just a few hours/days. If you don’t have time, don’t have money, or simply don’t want to deal with the hassles of selling your home…sell it to a real estate investor. You may be happily surprised by the offer you get. Here is the truth about selling your home FSBO. Indeed you can save money from other traditional selling solutions but selling your home on you own is not for everyone and should not be used in every situation. View the rest of this site to determine if selling your home FSBO is the best option for you. Below you will find the basic steps in selling your home by yourself. I am assuming you have a very basic understanding of real estate. If you have any questions just post and I will be happy to reply. Attend Your Local FSBO Seminar: In every major metro city there are FSBO companies that operate the local FSBO advertising market. These companies can be helpful but in my experiences they give you vauge information and charge you for everything. FSBO seminars are not for everyone and will cost a few dollars, usually between $25-$45 per person. It is a 30-60 minute presentation by a FSBO company employee on how to sell your home. Most of the presentation is directed on how thier company can help you and the producs/services they provide. If you want to save some time and a little money do your own research or finish reading this post and you will know all the steps invovled in selling your home on your own. Determine Market Value: For this step I am a firm believer you should spend a little time or money. It is not as easy as driving through your neighborhood and seeing what your neighbors home is selling for. Determining market value is much more complex and should be done very carefully. Market value of your home should consider all the details about your home including but not limited to; square footage (above grade and below grade square footage have different values), floor plan, upgrades, neighborhood, school ddistricts, curb appeal, surrounding amenities, age of home…and the list goes on. Because this is a very important task I recommend to avenues in determining the market value of you home. Use a Real Estate Agent: If you have already made up your mind that you will be selling your home FSBO I would recommend not wasting a realtors time and taking advantage of their resources. Realtors work hard and I’m sure you would not like it if someone asked you to work for free. If you are open to the possibility of listing your home with a realtor then I would suggest asking a local realtor for a listing presentation. Real estate agents have some massive advantages over us when determining market value of a home. For one, real estate agents are in the business of selling homes. The do not get a pay check unless their listings sell. They also have access to the Multiple Listing Service (MLS). This is a database that contains all the homes currently on the market and all the recently sold homes. If you are open to the possibility of listing your home with a real estate agent ask one to give you a listing presentation. Their presentation should include the market value of your home. They will also explain their services they offer. If after the listing presentation you like the idea of using them for their services, then great. Hire them and let them take over the work. If after the listing presentation you still want to sell your home FSBO, well now to you know the market value of your home. Set Your Selling Price: Depending on the condition of your home, the current market value, and your selling situation you should now set your selling price. Don’t forget to take into account selling fees; typically 1.5% closing fees, appraisal fees, negotiation room, and realtor fees. Why realtor fees you ask. Because sellers pay realtors and buyer do not you can expect your buyer will most likely be represented by a realtor. Depending on your location in the US typical realtor fees are 3% of selling price. Stage Your Home: There is an art to staging a home and many people have professional jobs just staging home for sale. If you list your home with a good realtor they will help you with this task. If you are selling you home by yourself then your main task will be to clean, clean, clean. Also use some of the tips from the pros like removing all family photos around the house. This helps potential home buyer see their family living in the home. Don’t forget to move your staging outside the home and into the front and back yard. Put new bark in the flower beds, plant some fresh vibrant colored flowers, trim the bushes growing above the front windows, and basically give your home some great curb appeal. Market Your Property: Now that your home is in great condition and will impress the masses it is time to spend a little money and get the word out that you are selling your home. In my opinion this is where many FSBO’s hit a brick wall. Marketing is the most important step in selling your home. Some people would say sale price but I am a firm believer that marketing is much more important. If you have a great sale price and no one knows your home is for sale, you will not receive one offer. There are many ways you can market you home for sale. Marketing is much to large of a subject to describe in detail so I will list a few, just remember don’t be stingy when using your money for marketing. I would suggest budgeting a minimum of 2% of your selling price for marketing. Some great avenues to get the word out that your home is for sale; signs, classified adds, bulletin boards, community magazines, Internet, and don’t forget the never absent home flyer. Show Your Home To Potential Buyers: This is the part many home owner don’t like doing. After you have spend many hours and a great sum of money getting your home ready to sell now you have to show your property to potential home buyers. Receiving phone calls, scheduling viewings, answering the same questions over and over to potential buyers, talking with unmotivated people, and listening to complaints about your home are just a few of the tasks you will be faced with. This is also the test for your previous work. If you set your selling price well and have good marketing your phone will ring. Receive Offers: If your buyer is represented by a realtor then you will not have to worry much about how the paperwork is completed. The buyers realtor will ask where and when to deliver the offers and you will receive them. You will need to read through the offer and understand the agreement/contract completely before being able to make a decision. If your buyer does not have a realtor you will have to help them put the offer together and walk them through the paperwork. Counter Offer or Accept: Depending on the offer you receieved from your potential home buyer you will need to counter offer or accept their offer. In a high buyers market it is typical to receive 3% lower than your asking price. Once an agreed upon price and terms is on paper and signed by both parties it is time for some more work. Assuming a $100,000 sale price the typical cost to sell a home FSBO would be between $10,650 and $14,440. This is definitely not cheep and this money does not includ your time and effort, particularly the money you could have made while at work and not dealing with the sale of your home. As you can see selling your home on your own can be quite a challenge, take valuable time away from other tasks like family or work, and cost a substantial amount of money. For this reason real estate agents and professional home buyers exist. Many people hire a real estate agent to help them through the gigantic task of selling their home. Even with a real estate agent the task of selling your home can be daunting. This is why selling your home to a real estate investor can make a great deal of sense. When you sell your home to a real estate investor you do not have to worry about any of the details and usually don’t have to worry about the condition of your home. You can call a real estate investor and within 48 hours have a signed offer on your home. If you really need to close fast because of your selling situation some real estate investors can pay cash and close on your home within days. No fixing up your home, no dealing with non-motivated buyers, no worrying about your buyer getting financing to close, and the list goes on. You are currently browsing the archives for the 3 Ways To Sell Your Home category.